(5-Stars) "I love the team at Destination Smiles. They're all friendly and great with my kids" -Laura N.
No Insurance? Our Patients Don't Need It! Join Dr. Ligh and Dr. Fridgen’s Membership Club. and get your preventive care for a low monthly subscription. Dr. Fridgen believes it is an honor and a privilege to be chosen to help your little ones develop a lifetime of great smiles! Helping children overcome their fear of the dentist is very rewarding and something for which Dr. Fridgen has a passion. Dr. Fridgen received his doctorate of dental surgery at the University of the Pacific, Arthur A. Dugoni School of Dentistry. 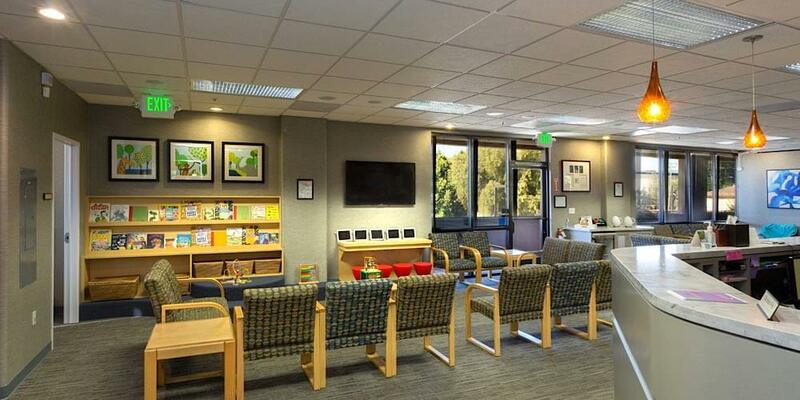 For over 35 years, Ligh has served San Jose area families, helping your children to mature with healthy smiles. It’s always been his hope that the information he shares with you and your children will lead to a lifetime of great oral health. 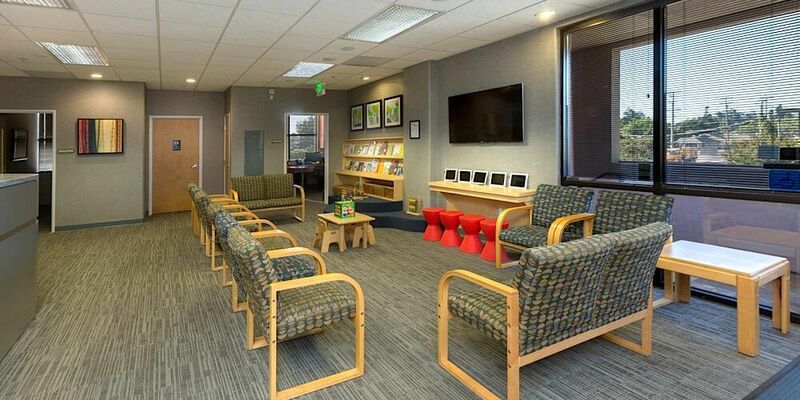 He listens to you and your children’s needs, and provides a safe and enjoyable experience for all. 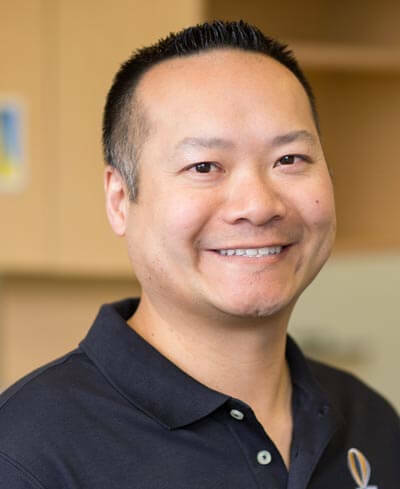 Dr. Kwong is known to be warm and compassionate because he always puts his patients first. He values their concerns and needs, and treats them as if they were a part of his family. It is his goal for his patients to clearly understand and enjoy all steps of treatment along the way. Dr. Rideau loves being an orthodontist. Working with people of all ages from children through young adults, it is a pleasure helping his patients correct and improve their smiles each day. 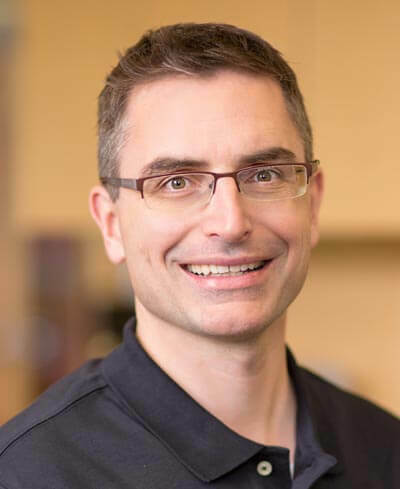 Because he loves what he does and wants to ensure his patients receive the best care, Dr. Rideau has assembled a team of clinical and administrative assistants who all know that the most important thing they do is treat each patient they see as they would their own child. Join Dr. Ligh and Dr. Fridgen's Membership Club and get your child’s preventive care for a low monthly subscription fee! A child’s first visit to the dentist should be not only enjoyable, but informative. Children aren’t born with an inherent fear of the dentist, but they can fear the unknown. Our goal is to create a pleasant, comfortable, fun experience for your child and we’ll describe treatments using simple kid-friendly terms so they understand and know what to expect. 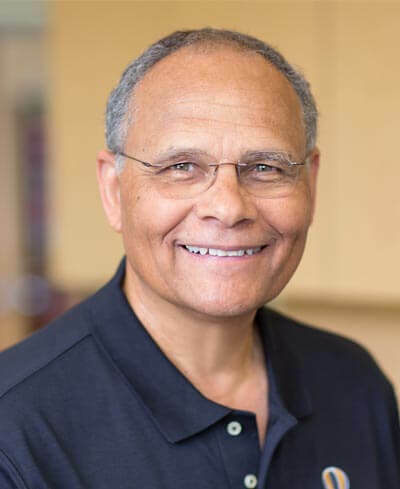 Dr. Ligh has been involved with infant and young children for over 25 years, and he understands the whole breastfeeding continuum and the far-reaching consequences of the mother/infant dyad. 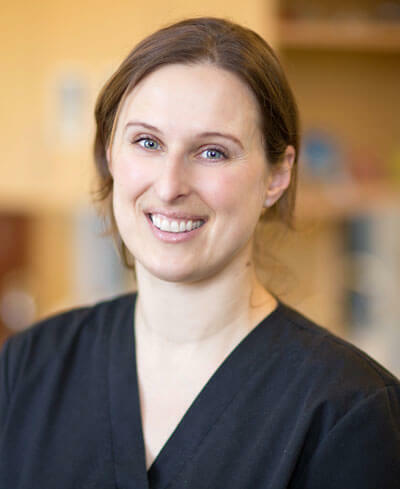 Dr. Ligh is a certified Community Lactation Education Counselor through the University of California at San Diego. He is Bovie electrocautery and soft tissue diode laser trained. He also has done scissor and scalpel protocols in the past. If you need braces, or want to get the smile you’ve always wanted, please visit Dr. Kwong and Dr. Rideau. We offer a wide variety of different types of braces and straighteners to meet your orthodontic and cosmetic needs. Call us to request an appointment. He’s very passionate about providing the best care for your family, so he stays up-to-date on the latest techniques and technologies with his extensive continuing education. When not in the office, Dr. Fridgen enjoys spending time with his wife and their three children. He loves to run, cycle, and work on home improvements. 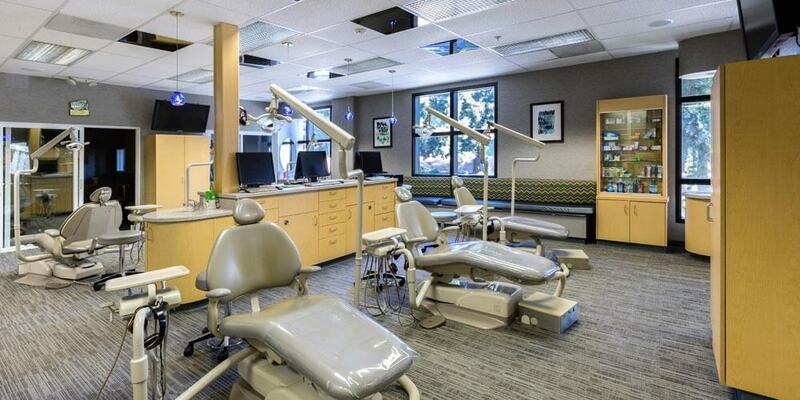 For over 35 years, Dr. Ligh has served San Jose area families, helping your children to mature with healthy smiles. It’s always been his hope that the information he shares with you and your children will lead to a lifetime of great oral health. He listens to you and your children’s needs, and provides a safe and enjoyable experience for all. He has always believed in and enjoyed learning and keeps up to date on the latest technology and advancements in diagnosis in order to give his patients the best care. Dr. Ligh attained his dental degree at the Temple University Kornberg School of Dentistry in Philadelphia. As a board-certified pediatric dentist, he has the specialized training to provide your children the care they need for a lifetime of smiles! Dr. Ligh loves being part of the community, sharing his skills with others helps give him an opportunity to meet new people and improve lives. He participates in Parents Helping Parents and performs pro-bono work with underserved populations through many international charities. He’s a resident of Los Gatos and has been blessed with a large extended family. Dr. Ligh is also a Certified Community Lactation Counselor from University of San Diego. In his spare time, Dr. Ligh enjoys swimming, jogging, water skiing, and taking cooking classes. Dr. Rideau attained his dental degree from the University of California School of Dentistry, and worked as a general dentist for five years. During this time he served in the teaching faculty at the UCLA School of Dentistry. He completed a residency in orthodontics soon after and continues his education each year to provide his patients the latest technology and procedures in orthodontics. Dr. Rideau was born and raised in Los Angeles, and am happy to be living in the greatest place on earth: the greater San Jose area. He and his wife have two adult children who live in San Jose and San Francisco. For recreation, he enjoys riding his bike and making things. He’s made things like his wedding rings, a television, a stereo amplifier and pre-amplifier, a dobsonian telescope, a grandfather clock, a rocking chair, wood strip canoes, and several vintage cars, but the most enjoyable thing he’s built is life-long relationships with his patients. LeeAnn is the office manager and has worked at P.D.O for more than 28 years. She has a passion for developing new staff members and helping them grow, not only as an employee but as part of our P.D.O family. She views her job as an opportunity to share, teach, and unite the office. LeeAnn’s son is currently serving in the United States Navy and she could not be more proud. In her spare time, she enjoys being in the outdoors, paddle boarding, and water skiing. LeeAnn is also a true 49er faithful fan, always showing her Red and Gold pride. Dr. Kwong received his Doctor of Dental Surgery degree from the University of the Pacific School of Dentistry in San Francisco. 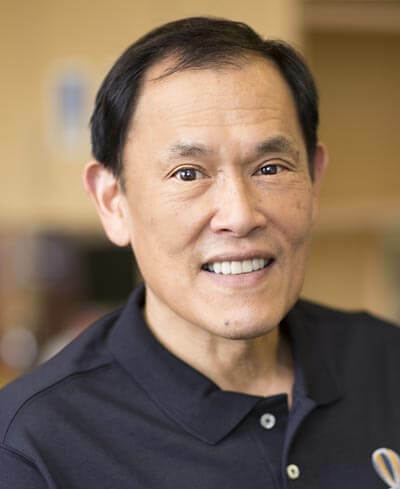 Upon graduation, he practiced general dentistry for a number of years before deciding to return to the University of the Pacific to earn his orthodontic degree. 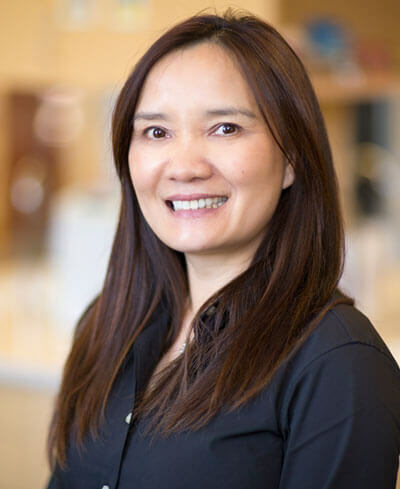 Dr. Kwong is a member of the American Dental Association, American Association of Orthodontists, Pacific Coast Society of Orthodontists, and the Santa Clara County Dental Society. Growing up in Saratoga, Dr. Kwong is happy to call the south bay his home. He is an avid sports fan and coaches his son’s football team. He loves the Sharks, Giants, Warriors and 49ers – so you may see him cheering for his favorite team at the next home game! 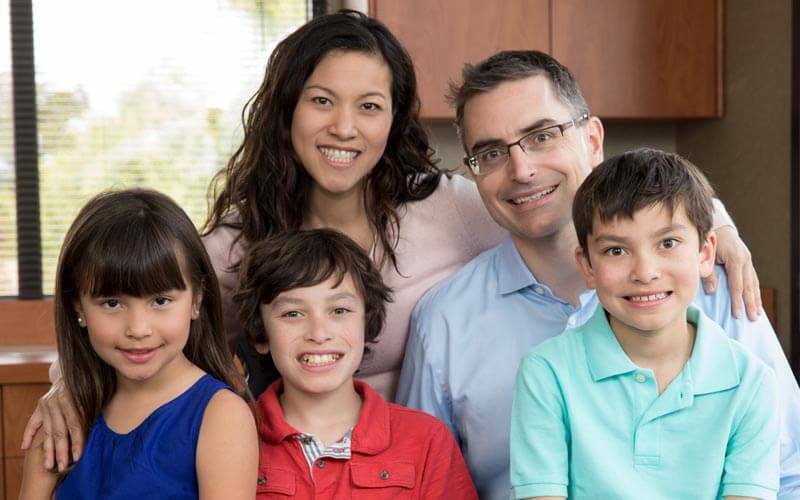 What Dr. Kwong enjoys most is spending time with his family. He volunteers at his children’s school and often gives classroom talks about various dental topics. 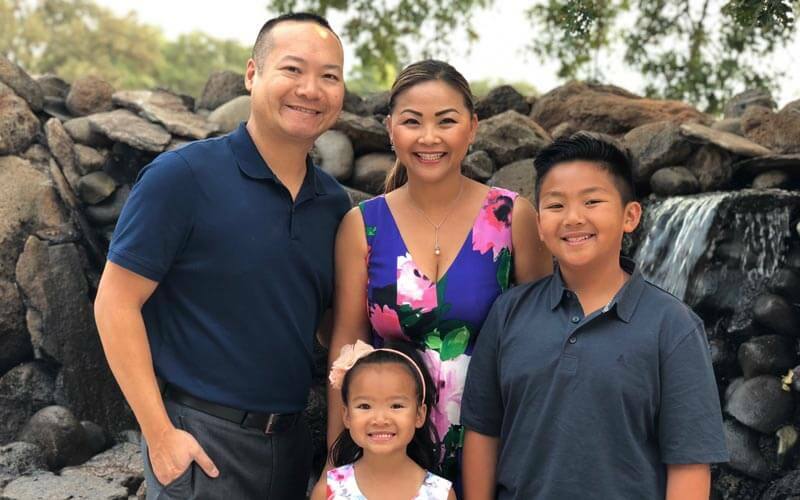 Dr. Kwong is happily married to his wife, Sarah, and with their son, Jayden, and daughter, Caitlyn, together they enjoy the great life that the south bay has to offer. Kim is a Treatment and Sedation Coordinator and has worked at P.D.O. for 16 years. She has two kids in college and is very proud of them both. Kim has lived in San Jose for 23 years and loves to spend time with her family. She has a large extended family and enjoys planning family functions on the weekends. Kim's favorite part of her job is working with the children and parents. She loves watching our patients grow throughout the years. 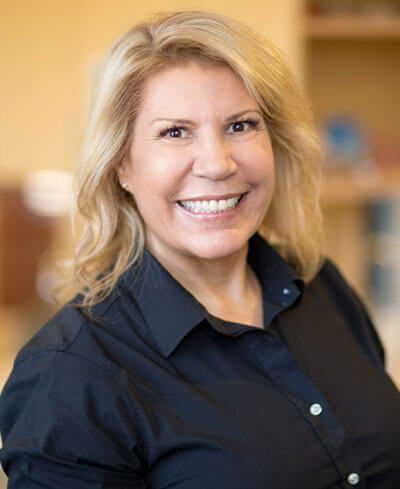 Karen is a registered dental assistant and clinical supervisor in the orthodontic department and has been with Pediatric Dentistry & Orthodontics for 20 years. Karen’s favorite part of working at P.D.O. is watching the kids grow and seeing their beautiful smiles when they are done with treatment. Karen has two kids and is from San Jose. She is a big fan of the San Francisco 49ers and San Jose Sharks, and loves watching and attending games with her family and friends. 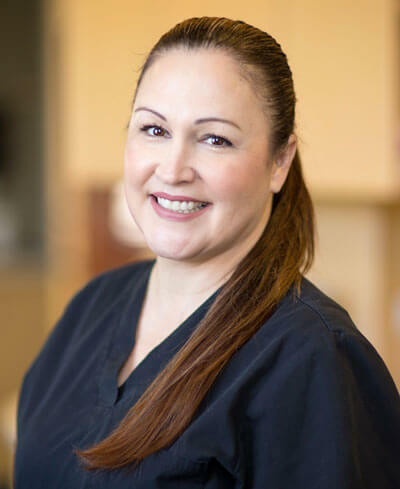 Ligita is a clinical supervisor at Pediatric Dentistry and Orthodontics and has been with the practice for 10 years. She enjoys seeing the little patients happy at their appointments, watching them grow, and sharing their achievements with the staff. Ligita has a son in the tenth grade and has lived in San Jose for more than fourteen years, though she is originally from Lithuania. She is very close to her family and spends her time hiking, traveling, and participating in a variety of activities. Every other year she travels overseas to visit relatives. Kelly our Orthodontic New Patient Coordinator has been with the practice for 7 years now. 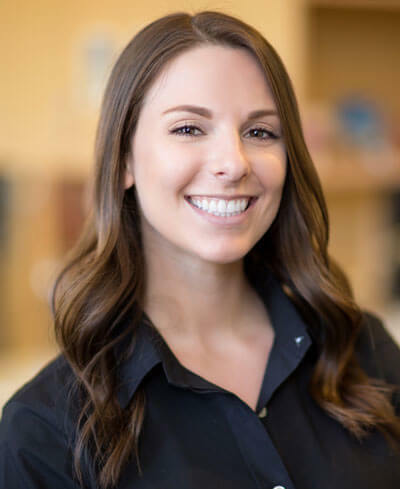 She started with the office as an Orthodontic Assistant during a clinical internship and has transitioned into the role of New Patient Coordinator. She really enjoys building relationships with the families during their treatment time. Kelly was born and raised in San Jose and loves spending time outdoors trying new adventurous activities like sky diving. She also loves spending time with family and friends. Ernestina our Pediatric New Patient Coordinator has been with the office for 3 years. 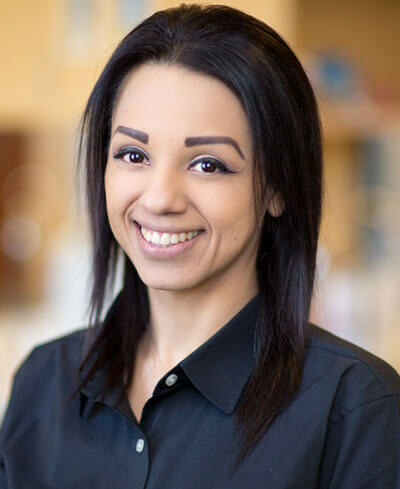 She originally started out as a greeter, welcoming patients and parents into the practice before expanding her role as the New Patient Coordinator. Her favorite part about her job is working closely with families and interacting with the kids! Ernsetina is born and raised in San Jose and married with 2 kids. She enjoys spending time with her family and attending Sharks games. He has been asked to given his informative, spicy and edgy presentations to Bay Area Lactation Associates at El Camino Hospital in Los Gatos; The Santa Clara County Public Health Program- “Barriers to Breastfeeding” At Sutter Health Lactation/ Maternity Center in Santa Cruz, and Dr. Ligh has authored an article titled “The Team Approach to Successful Breastfeeding and Tongue/Lip Tie Release”. Dr. Ligh is also doing a monograph for the Bovie Medical Company in Clearwater, Florida: “Lingual Frenectomy with Electrocautery”. It’s recommended that you bring your baby in for a visit six months after the first tooth erupts (usually around their first birthday). The earlier your child visits us, the quicker we can help you be aware of early problems with your child’s oral health, and how to best take care of your little one’s teeth. How to avoid cavities and setting a good example are important parts of your child’s health, and during our first visit we’ll discuss these techniques. Most children sucking their thumbs or fingers from a very young age. Sucking is a natural reflex for an infant, and it serves and important purpose for that age. According to the American Dental Association, most children stop thumb sucking on their own between the ages of two to four, however some continue into their primary school years. If your child is older than four and still thumb sucking, please read this article from the ADA or request an appointment. Injuries to mouth and teeth are common among athletes, so it’s vital to protect your child’s smile when he or she plays sports for aesthetic and health reasons. If a tooth is knocked out, chipped, cracked, or displaced due to trauma, please call our office as soon as possible. We recommend the use of a sports mouthguard while playing sports. Our doctors can recommend the best mouthguard for your child’s needs for their sport and fitment concerns. If you or your child experiences a dental emergency, please call us immediately. If you need urgent treatment after hours, please call our emergency number. If your child experiences any of the following: bitten lip or tongue, object caught in teeth, broken chipped or cracked tooth, knocked-out tooth, loose tooth, toothache, broken jaw, or any other dental trauma, please contact us. For strategies to help in the meantime, please visit the Dental Emergency page. We do not use BIS GMA products. While x-rays can provide valuable information, they don’t give a complete view of everything going on inside the mouth. With an intraoral camera, we can see every aspect of the teeth and mouth in incredible detail, and view cracked teeth, plaque deposits, cavities, and excessive wear. Both our doctors, your child and you can see everything on a monitor. It’s a great tool for us to use with you and your child to understand your child’s individual needs and treatment options. If you have been thinking about orthodontic care for yourself or a loved one, you may be wondering: When is the right time to see an orthodontist? It’s an excellent question, and the first and most basic answer is you should see an orthodontist any time you have a question about the alignment of your teeth or the quality of your bite. For children, the American Association of Orthodontists recommends an evaluation around the age of 7. By this age an orthodontist can usually determine whether or not there is adequate room in the mouth to accommodate the permanent teeth. Some conditions are far easier to treat if they are caught at an early stage, when the child’s natural growth process is in full swing. 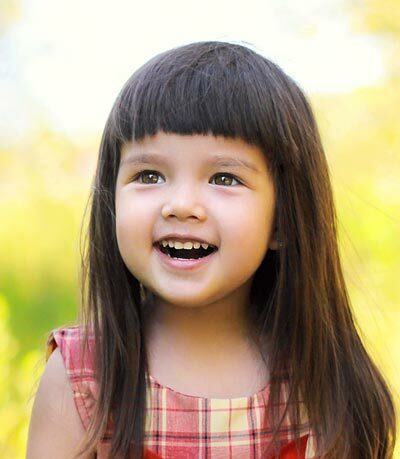 For example, a palatal expander appliance can effectively correct a child’s crossbite (the upper teeth bite inside the lower teeth) because a child’s jaw is still malleable and growing. If left untreated this may be impossible to correct later on without surgery. We can also detect other problems such as early loss of baby teeth, thumb sucking, or tongue thrusting. Keep in mind, early screening doesn’t mean treatment has to start right away. 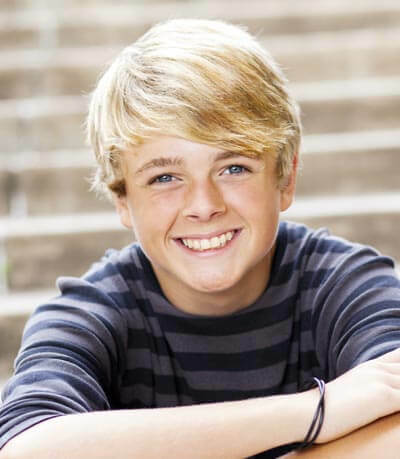 Most kids do not begin active orthodontic treatment until they are 9-14 years of age. 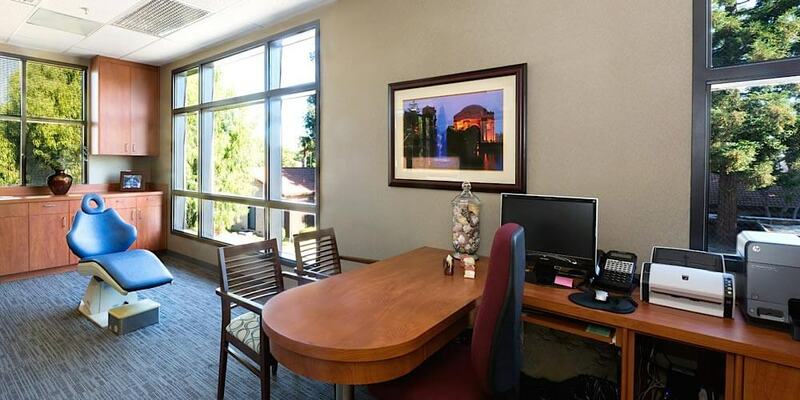 We look forward to meeting you at your first visit to our office. 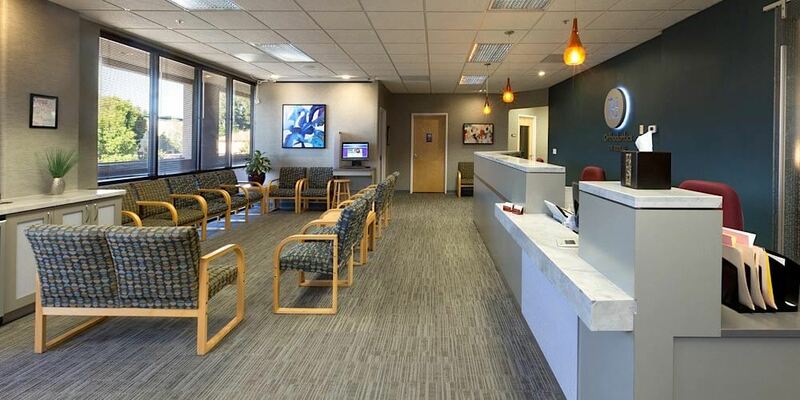 During this time we will help you get acquainted with our office and learn about your orthodontic treatment. We understand that each patient’s orthodontic treatment is different, so we try to give you the personal attention you deserve and answer as many questions as possible. Your first visit will consist of an initial examination where Dr. Kwong will evaluate if treatment is needed at this time. If treatment is needed he will discuss potential treatment options with you and the estimated length of the treatment. The treatment coordinator will discuss estimated treatment costs and answer any financial questions you may have. Working together, we can achieve a true partnership with a common goal of helping you achieve a beautiful smile! Traditional Metal Braces - They are made from a high grade stainless steel and are by far the most common type of fixed orthodontic appliance. They consist of small metal brackets that are cemented to the front surfaces of the teeth. A thin wire that runs through the brackets gently guides the teeth into proper position. Metal brackets are a reliable and effective treatment option. Ceramic Braces - These brackets are similar to the traditional metal braces but are less noticeable. They are made with a translucent ceramic material. Their esthetic appeal is undeniable, but there are a few tradeoffs. They can be less durable than metal, certain tooth movements may be less efficient, and they typically do cost more than metal brackets. Invisalign® - Invisalign® clear aligners are made of a nearly invisible polyurethane plastic. They are completely removable unlike traditional braces. They offer the advantages of improved oral hygiene, more dietary choices, esthetics, and comfort. Invisalign® applies force to the teeth much like braces, but uses plastic fabricated from a computer software program to do so. If interested, Dr. Kwong will determine if you are a candidate for Invisalign® treatment. Phase II treatment begins when all of the permanent teeth are present. The goal of second phase treatment is teeth straightening of all the permanent teeth and establish an optimal bite. The severity of the case and patient compliance will determine the length of orthodontic treatment. Second phase orthodontic treatments normally involve the use of dental braces and usually takes roughly 12 to 18 months. Orthodontists are dental specialists who diagnose and treat problems with the alignment of the teeth, and irregularities in the face and jaw. We use a number of special treatments, including braces and other appliances to correct these issues. Why Should I, Or My Loved Ones, Get Orthodontic Treatment? There are two good reasons: esthetics and function. Having an attractive smile not only changes the way people see you, it also enhances your own self image as well. Orthodontic treatment will also allow your teeth to function better which makes it easier to chew and to keep them clean. You are never too old to undergo orthodontic treatment. If you start earlier, sometimes there are problems that we can correct that we cannot if you are older. The American Association of Orthodontics recommends a child see an orthodontist for an evaluation around the age of 7. Having braces is generally painless. Some people experience minor aches and pains the first couple of days as they adjust to having something new in their mouths. There are many things that can help alleviate the minor discomfort such as over the counter pain medication, and eating softer, colder, foods such as ice cream or smoothies. This is different for each person, depending on the severity of their case. Active treatment can range anywhere from 6 to 30 months, but the usual is about 24 months. Do I Still Need to See My Dentist While In Orthodontic Treatment? Yes, absolutely. 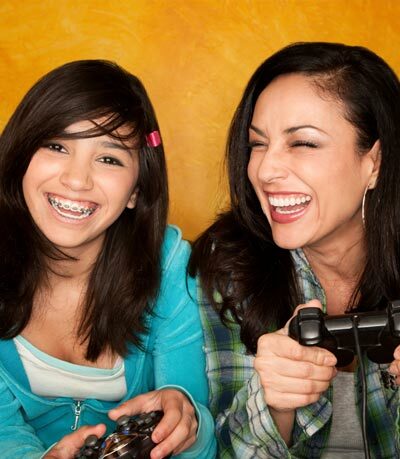 Keeping your teeth free of plaque can be more challenging with braces on. So seeing your dentist while in braces is very important to keeping your teeth and gums healthy. Orthodontic care is a long-term investment in your health and well-being. Yet it’s cost has not increased as fast as other consumer prices. We never want finances to be a barrier to getting that smile you have always wanted, so we offer many financing options that will help make care more affordable. Having orthodontic treatment may take a little bit of time to get used to. It is common to experience soreness when appliances are first put on and some minor aches as teeth begin moving into new positions. Yet, it is comforting to know that true orthodontic emergencies are rare. If you think you may have an emergency the first step is to determine the severity of the problem. Is it an urgent situation that requires immediate attention, or a minor problem that you can take care of yourself until you can come to our office. If any of these occur, the best place to start is usually with your dentist as they can most likely offer the proper diagnostic tools, anesthetics, and treatments you need. However feel free to call our office as well, in the event that we can be of assistance. Loose or broken brackets - this often occurs from eating hard candy or food or playing with the braces. If the bracket is still attached to the archwire, leave it as is. You can cover it with wax if it is irritating the inside of your mouth. If the bracket has come off completely, save it and bring it with you to your next appointment. Poking archwire - as the teeth start to move, the wire connecting them can also move and poke near the back of the mouth. You can try to take the end of a pencil eraser and move the wire or use a nail clipper or wire cutter to clip the end. You can also place wax at the end of the poking wire. General tooth soreness and looseness - it is normal for teeth to be slightly loose during orthodontic treatment, as it shows they are moving. For soreness, you can use over the counter pain reliever and eat softer foods. 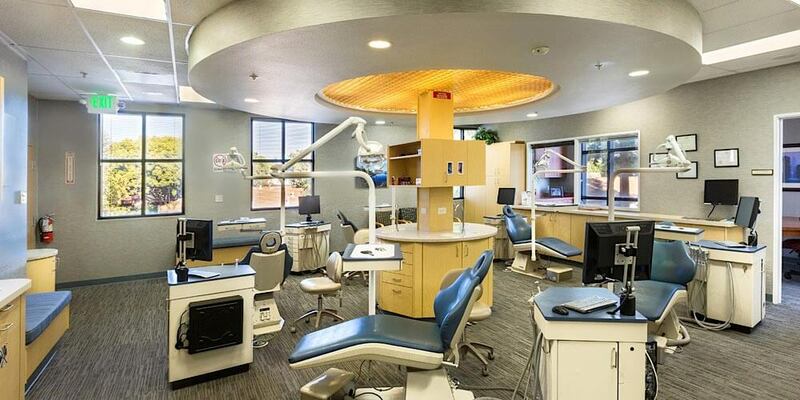 Our goal is to make orthodontic treatment as comfortable as possible. If you need additional advice, do not hesitate to call us. Retention is a critical follow through stage that involves wearing a retainer after your active orthodontic treatment is complete. There are several types of retainers available, all of which are custom made to fit you. We will recommend the type or types that will work best in your situation. You may wonder why you have to wear a retainer. If you don’t wear one your teeth will start moving back to where they were. Teeth are not just set in the jawbone but also held in place by ligaments and fibers. It takes several months for the teeth to adjust to their new position. So it is essential you wear your retainer very well for the first several months after your braces come off. However, orthodontists typically advocate retainer wear indefinitely. This is because there is pressure from your lips, tongue, etc that are pushing on your teeth. If you stop wearing your retainer over a period of time your teeth will move. So if you want to keep that new smile and not waste all the time and effort that went into achieving it, you will want to wear your retainer.